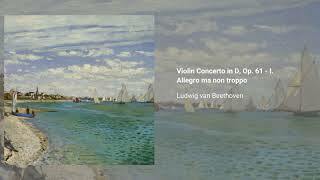 Beethoven wrote his Violin Concerto in D, Op. 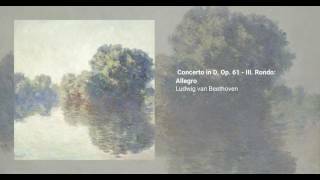 61, in 1806 for his colleague Franz Clement, who had helped him with advide on Fidelio. 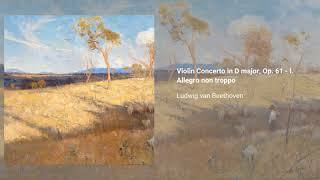 The first printed edition was dedicated to Beethoven's friend Stephan von Breuning. 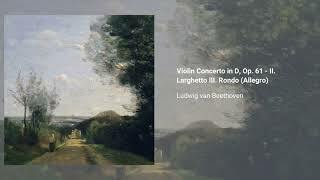 It is believed that Beethoven finished the solo part so late that Clement had to sight read part of his performance, and to express his annoyance Clement interrputed the concerto to play a composition of his own, played on one string with the violin upside down. 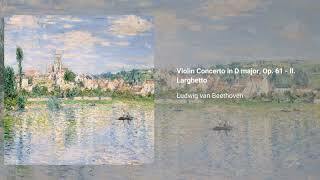 The premiere was not a success, and the concerto was little performed in the following decades. 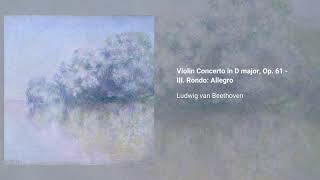 The work was revived in 1844 with performances by the then 12-year-old violinist Joseph Joachim with the orchestra conducted by Felix Mendelssohn. 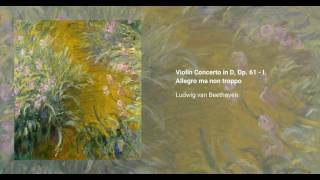 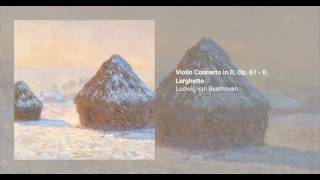 Ever since, it has been one of the most important works of the violin concerto repertoire, and it is frequently performed and recorded today.